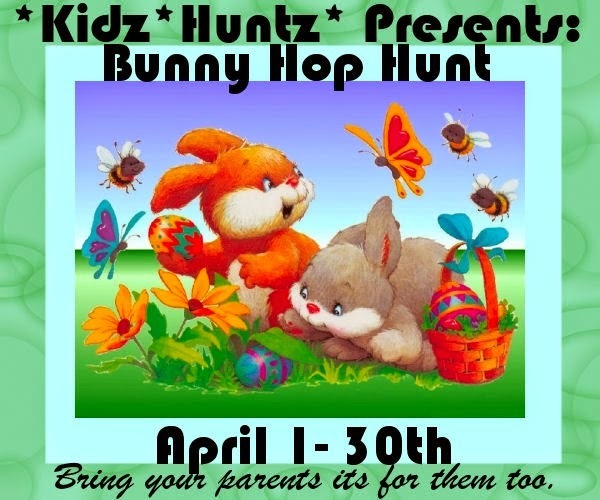 Elotte Bridger: Bunny Hop Hunt - Kids AND Their Parents! It's the end of April and Kitty just have enough time to catch some hunt and this one just caught her eyes, simply because of the bunnies in the poster. Hint : Its important to have a good poster (and a good hunt). In any case, this is a rather special hunt as it is kid and parent theme meaning you won't find things like RLV collars or semi naked (non-kid) outfits. Kitty probably doesn't have the time to show case the prizes and even as now, the stores are disappearing due to the deadline... So if you still want to have a shot, see the LMs at the end and hope some of the prizes are still available in this short and sweet hunt!